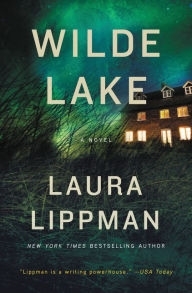 VJ Books Presents Author Laura Lippman! 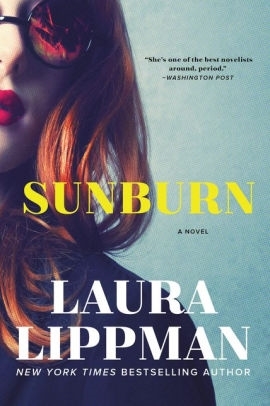 Laura Lippman grew up in Baltimore and attended city schools through ninth grade. After graduating from Wilde Lake High School in Columbia, Md., she attended Northwestern University's Medill School of Journalism. She was a reporter for twenty years, including twelve years at The (Baltimore) Sun. Her other newspaper jobs included the Waco Tribune-Herald and the San Antonio Light. She began writing novels while working full-time and published seven books about "accidental PI" Tess Monaghan before leaving daily journalism in 2001. Her work has been awarded the Edgar å, the Anthony, the Agatha, the Shamus, the Nero Wolfe, Gumshoe and Barry awards. She also has been nominated for other prizes in the crime fiction field, including the Hammett and the Macavity. She was the first-ever recipient of the Mayor's Prize for Literary Excellence and the first genre writer recognized as Author of the Year by the Maryland Library Association. Lippman returned to Baltimore in 1989 and has lived there since. She is the daughter of Theo Lippman Jr., a Sun editorial writer who retired in 1995 but continues to freelance for several newspapers, and Madeline Mabry Lippman, a former Baltimore City school librarian. Her sister, Susan, is a local bookseller. Author Signed ARC. 2014 NY: Morrow Advance reading copy, mint, new/unread in flawless pictorial wrappers, signed by the author. Author Signed Hardcover Book. February 2014 NY: HarperCollins First edition, first printing, mint, new/unread in a flawless dust jacket, signed by the author. Each dust jacket is protected in an acid-free archival quality acetate cover. Author Signed Hardcover Book. August 2012 NY: HarperCollins First edition, first printing, mint, new/unread, flawless dust jacket, signed by author. Each dust jacket is protected in an acid-free archival quality acetate cover. Author Signed Hardcover Book 2012 NY: Morrow First edition, first printing, fine in fine dust jacket, signed by the author, remainder marked. Each dust jacket is protected in an acid-free archival quality acetate cover. Author Signed Hardcover Book. 2008 NY: HarperCollins First edition, first printing, mint, new/unread, flawless dust jacket, signed by author. Each dust jacket is protected in an acid-free archival quality acetate cover. Author Signed Hardcover Book 2007 NY: William Morrow. First edition, first printing, fine in a fine dust jacket, signed by the author, remainder marked. Each dust jacket is protected in an acid-free archival quality acetate cover. Author Signed Hardcover Book. 2004 NY: Morrow First edition, first printing, mint, new/unread in a flawless dust jacket, signed by the author. Each dust jacket is protected in an acid-free archival quality acetate cover. Author Signed Hardcover Book 2007 NY: HarperCollins First edition, first printing, fine in a fine dust jacket, signed by the author, remainder marked. Each dust jacket is protected in an acid-free archival quality acetate cover. Author Signed Hardcover Book 2003 NY: Morrow First edition, first printing, mint, new/unread in a flawless dust jacket, signed by the author. Each dust jacket is protected in an acid-free archival quality acetate cover. Author Signed Hardcover Book. October 2008 NY: William Morrow First edition, first printing, mint, new/unread, flawless dust jacket, signed by author. Each dust jacket is protected in an acid-free archival quality acetate cover. Author Signed Hardcover Book. October 2008 NY: William Morrow First edition, first printing, fine in a fine dust jacket, signed by the author, remainder marked. Each dust jacket is protected in an acid-free archival quality acetate cover. Author Signed ARC. February 2015 NY: HarperCollins Advance Reading Copy, mint, new/unread in a flawless dust jacket, signed by the author. Author Signed Hardcover Book. February 2015 NY: HarperCollins First edition, first printing, mint, new/unread in a flawless dust jacket, signed by the author. Each dust jacket is protected in an acid-free archival quality acetate cover. Author Signed ARC Book. 2010 NY: HarperCollins First edition, first printing, mint, new/unread in flawless pictorial wrappers, signed by the author. Author Signed Hardcover Book. August 2010 NY: HarperCollins First edition, first printing, mint, new/unread, flawless dust jacket, signed by author. Each dust jacket is protected in an acid-free archival quality acetate cover. Author Signed Hardcover Book. August 2010 NY: HarperCollins First edition, first printing, fine in a fine dust jacket, signed by author, remainder marked. Each dust jacket is protected in an acid-free archival quality acetate cover. Author Signed Hardcover Book 2002 NY: William Morrow. First edition, first printing, mint, new/unread in a flawless dust jacket, signed by the author. Each dust jacket is protected in an acid-free archival quality acetate cover. Author Signed Hardcover Book. March 2009 NY: HarperCollins First edition, first printing, mint, new/unread, flawless dust jacket, signed by author. Each dust jacket is protected in an acid-free archival quality acetate cover. Author Signed Hardcover Book. August 2011 NY: HarperCollins First edition, first printing, mint, new/unread, flawless dust jacket, signed by author. Each dust jacket is protected in an acid-free archival quality acetate cover. Author Signed Hardcover Book. 2006 NY: HarperCollins First edition, first printing, mint, new/unread, flawless dust jacket, signed by author. Each dust jacket is protected in an acid-free archival quality acetate cover. Author Signed UK Hardcover Book. 2005 LON: Orion First UK edition, first printing, mint, new/unread in a flawless dust jacket, signed by the author. Each dust jacket is protected in an acid-free archival quality acetate cover. Author Signed Hardcover Book. 2000 NY: HarperCollins First edition, first printing, mint, new/unread in a flawless dust jacket, signed by the author. Each dust jacket is protected in an acid-free archival quality acetate cover. Author Signed ARC 2018 NY: William Morrow reading copy, mint, new/unread in flawless pictorial wrappers, signed by the author. Author Signed Hardcover Book. February 2018 NY: William Morrow First edition, first printing, mint, new/unread in a flawless dust jacket, signed by the author. Each dust jacket is protected in an acid-free archival quality acetate cover. Author Signed Hardcover Book. 2005 NY: HarperCollins First edition, first printing, mint, new/unread, flawless dust jacket, signed by author. Each dust jacket is protected in an acid-free archival quality acetate cover. Author Signed Hardcover Book. 2005 NY: HarperCollins First edition, first printing, fine in a fine dust jacket, signed by author, remainder marked. Each dust jacket is protected in an acid-free archival quality acetate cover. Author Signed Hardcover Book. 2005 NY: HarperCollins First edition, later printing, fine in a fine dust jacket, signed by author, remainder marked. Each dust jacket is protected in an acid-free archival quality acetate cover.